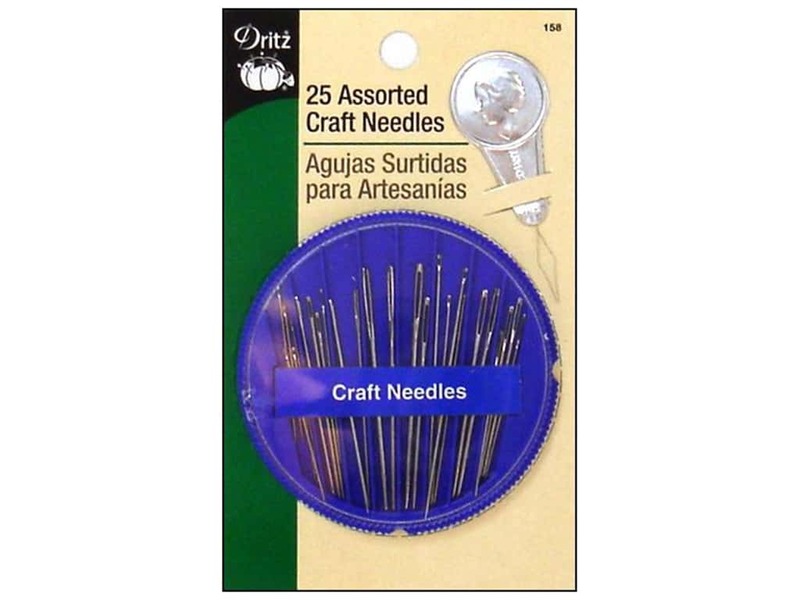 Description: Dritz Craft Needles Set includes an assortment of crafting needles in a storage compact. This assortment of hand needles includes 4 needles for cross stitch, 4 for tapestry, 4 for milliner, 2 for candlewicking, 6 for embroidery, 5 for quilting and patchworking and a needle threader. 25 pc.